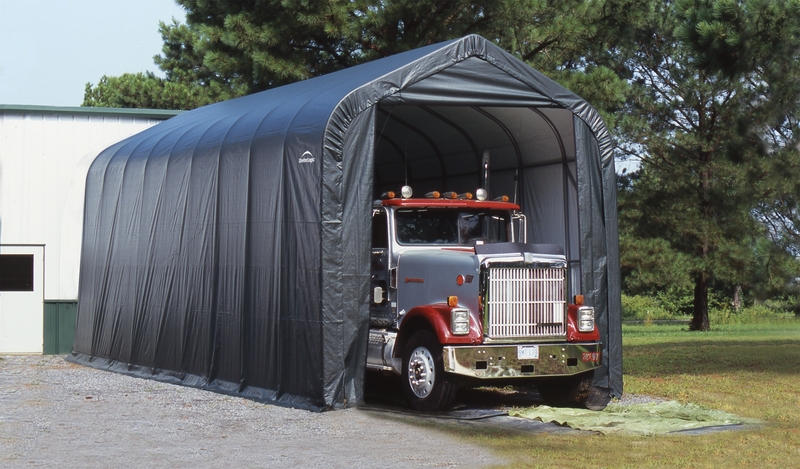 The large dismountable ShelterLogic motorhome, caravan or large model boat with a usable height of 3.80 m and a length of 11m. Steel structure with Dupont heat-hardened baking treatment. Resists rust, corrosion and flaking of the coating. Diameter of the tubes 60 mm. Non-woven triple-layer polyethylene fabric treated with anti-UV exterior and reinforced PVC. Removable zipped door. 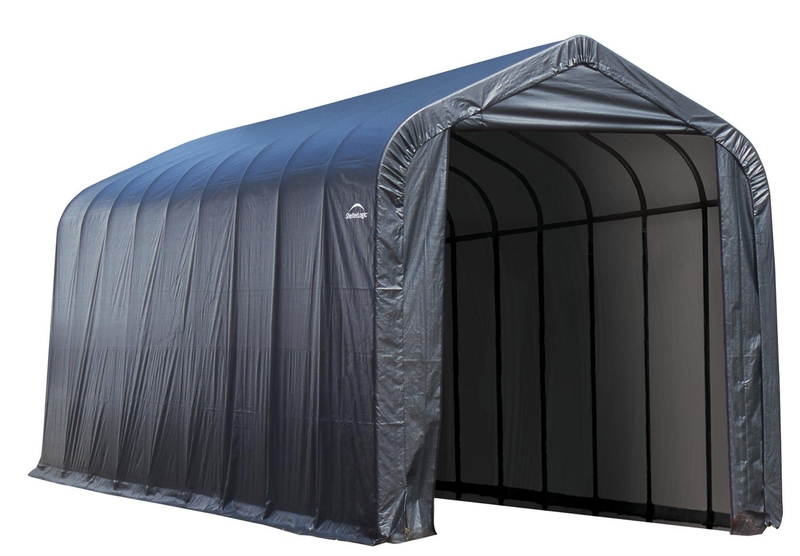 A quality product that will allow you to store your caravan or camper under cover in a garage completely removable so not permanent. Width on the ground 4.3 m.
Low passage width: 3 m.
Width high passage: 3 m.
Overall outside height: 4.90 m.